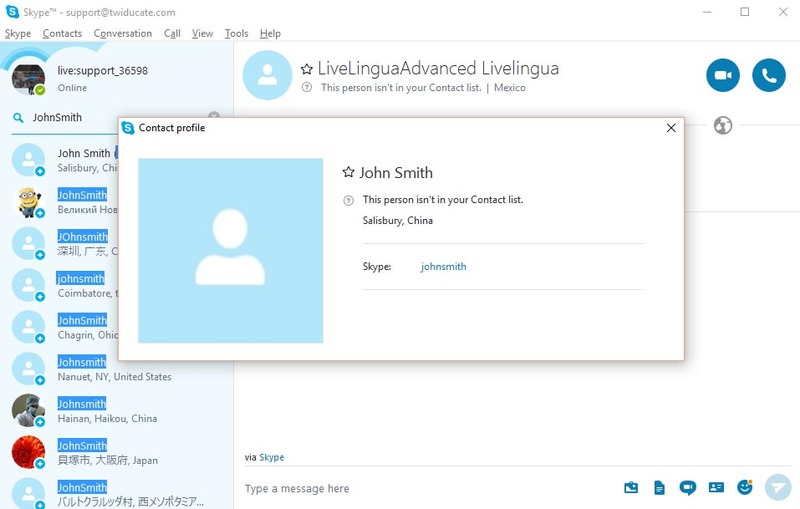 Now that your Skype is set up and you have everything ready in your Skype account all you need to do is add your Live Lingua teacher as a contact and you will be set to go! Adding your teacher only has to be done once. Here are the steps. NOTE: In some cases, your teacher may add you as a Skype contact before you have a chance to add them. In that case, you will get a message in your Skype account the next time you logged in saying they have requested adding you as a contact. In this happens, you don’t have to do the steps above. 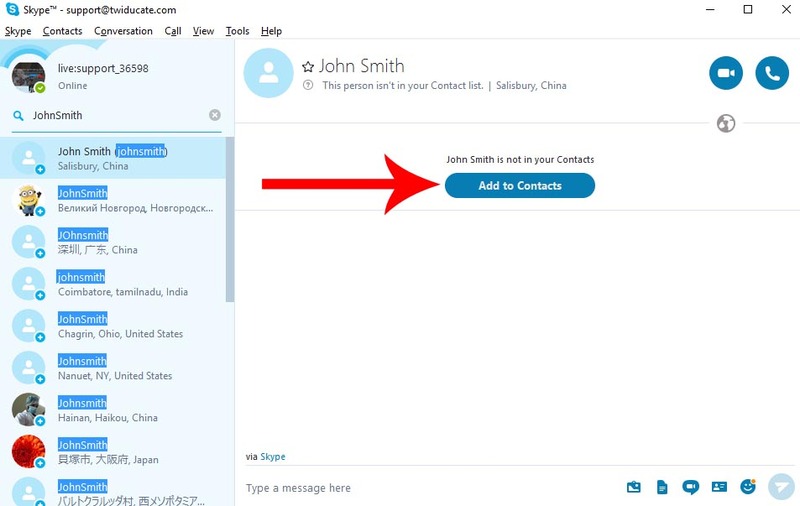 Just click on the message (usually in the area on the left of your Skype window with an orange message bubble) and click “Accept Contact”. You’re all set. 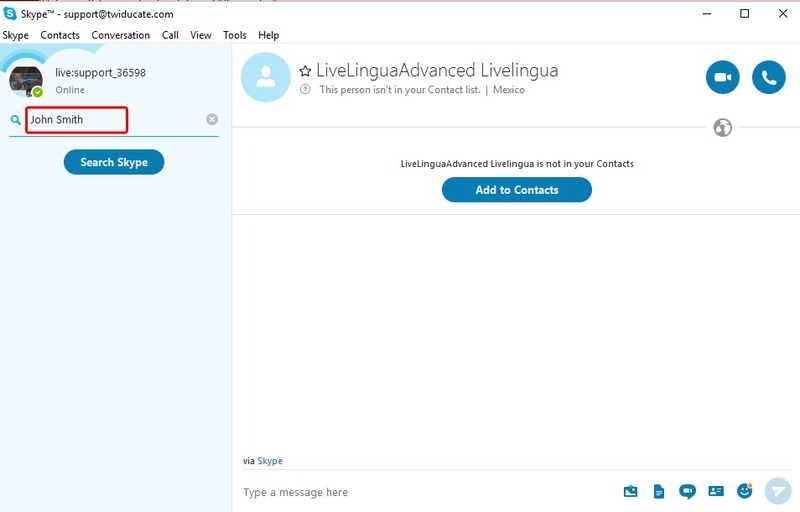 To add your Live Lingua teacher as a contact in your Skype account go to the menu at the top of your Skype window and click on “Contacts -> Add Contacts -> Search Skype” as shown in the image below. This will bring up the option as seen in the image below with the cursor flashing next to the magnifying glass symbol. 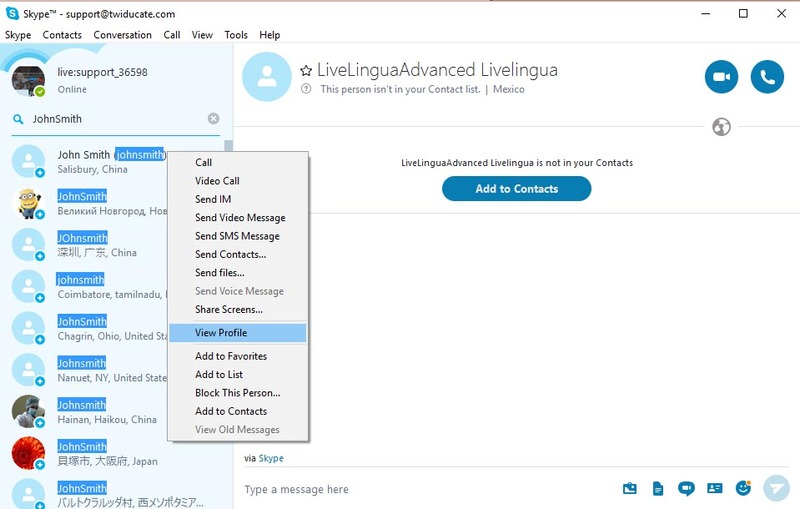 In that area put the Skype username for your Live Lingua teacher. This information will have been sent to you in an email when your trial class was scheduled. TIP: You can also usually find the teacher by searching by the teacher email also sent to you in the same email. In some cases, you may get multiple options for the username as shown below. But don’t panic! 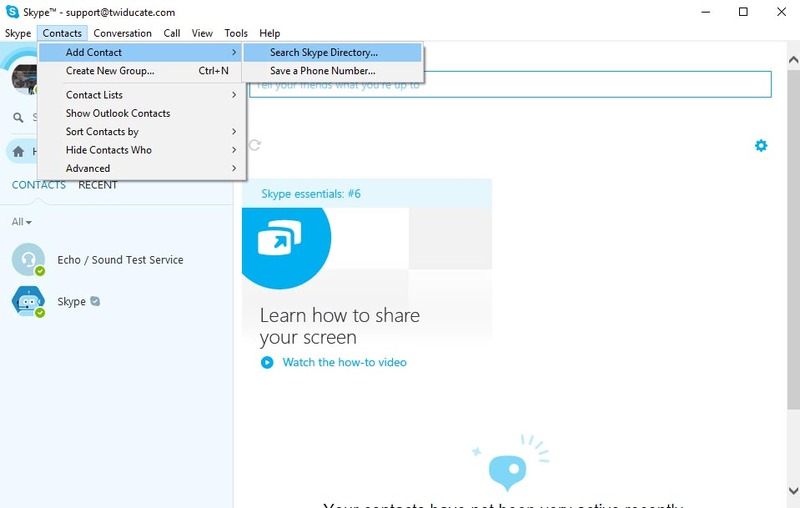 Skype brings back all Skype users that have a similar name to the one you put in. Normally the 1st result it shows you is the correct one, but there are some steps we can take to make sure (go to the next image). To make sure the contact that comes up you can do a few things. First, you can see if the person has an image by their name. You can then compare this image to the ones of our teachers on the Live Lingua teacher area. If they are the same you have a match. You can also check the location under the contact information. If your teacher is in Mexico and only one of the results is in that country you probably have the correct one. You can also get more information on each result by right-clicking on the name and selecting “View Profile” from the drop-down. This will bring up the window below, which will give you even more information. If after completing all these steps you are still not sure if the contact you found is the correct one, then don’t worry. Just contact us at info@livelingua.com and your class coordinator can assist you in making contact with your teacher. If you are sure that the person you found is your contact, then all you need to do select the person from the list on the left of your screen and then click on the “Add to Contacts” button that appears on your screen. This sends a contact request to your teacher. You still won’t be able to call them yet. 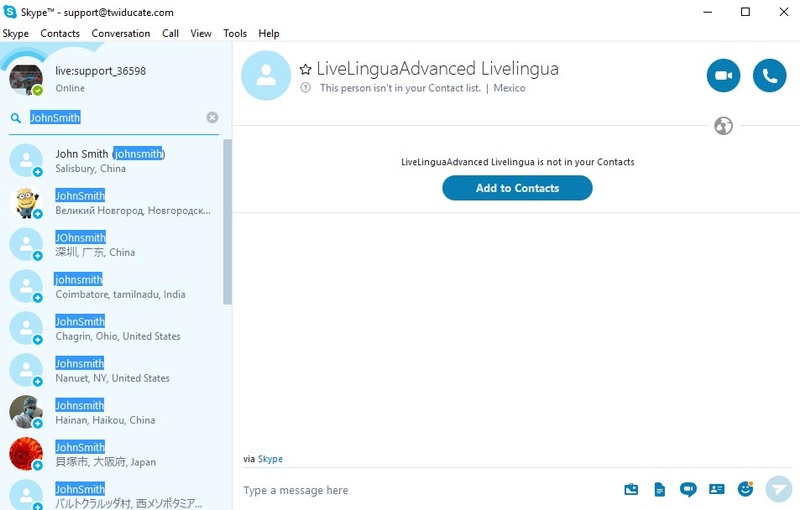 The next time the teacher logs into their Skype account they will see a contact request from you. At that point, they will accept you as contact and you will receive a message confirming it. After that, you are all set! 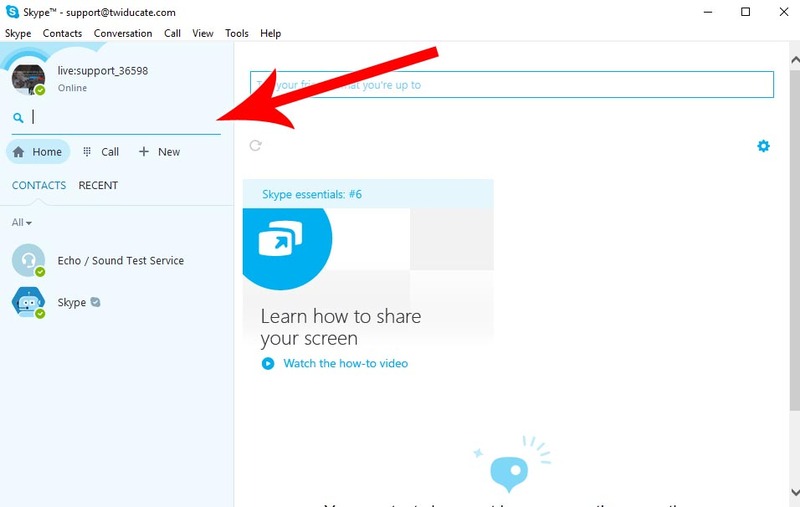 Just show up to your classes on time and log into your Skype account and you are good to go.